At Shine Fitness, our goal is to provide clients with the tools they need to see real results and shine. We provide the coaching, accountability and expertise required to help clients transform their bodies and change their lives. Throughout our training process, we work to equip our clients with a mindset for success that influences every area of their lives. At Shine Fitness, our mission is to provide an environment for fitness success. The Shine Fitness internship program is designed to allow recent graduates from college, university or personal training certification courses to observe the practical skills they will need to work successfully with clients in the future. Interns will observe an experienced personal trainer conducting a variety of training sessions in exchange for assistance with cleaning, maintenance and other basic office and administrative tasks. 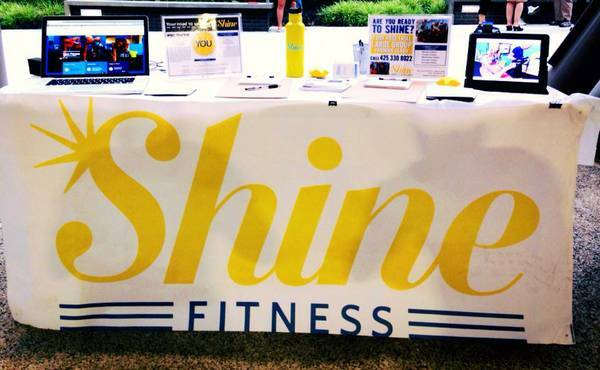 Represent the vision, culture and values of Shine Fitness. Greet and check in clients in a friendly, positive, professional manner. Assist with back office work, such as sending emails/cards, helping with testimonials, and running errands as needed. Document your experience each week: interesting observations, lessons learned, questions for discussion, comments on workouts observed, useful client communication / training techniques, etc. Assist with personal training sessions when appropriate. Demonstrate behaviors consistent with the Shine Fitness vision, culture and values in all interactions with clients, coworkers and the general public. Interns must spend 10 hours per week in the facility over the course of 8 consecutive weeks. Must have a positive, enthusiastic, energetic personality. Must be comfortable conversing with clients in person and over the phone in a polite, professional, friendly manner. Must have a working knowledge of health and fitness and the human body, and be able to quickly grasp and apply new concepts. Shine Fitness Internships are unpaid. However, interns who demonstrate excellent performance may be eligible for employment after the internship is completed.